Please join the Committee for a Responsible Federal Budget for breakfast, presentation, and a panel discussion on the 2014 Social Security Trustees Report and the future of the Social Security program. 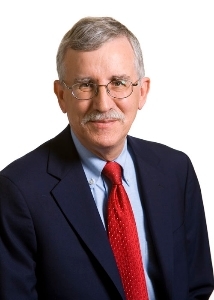 The event will feature a presentation from Stephen Goss, Chief Actuary of the Social Security Administration, and a bipartisan panel discussion. The panel will feature a variety of perspectives and provide a timely and informative discussion about the 2014 Social Security Trustees report, the Social Security program, and what Washington should do to reform the program in the coming years. Please RSVP to join us on July 29. 9:30 am Panel Discussion: Is It Time to Reform Social Security? Investors Business Daily reports on an opinion poll from the Transamerica Center for Retirement Studies. The Millennial generation isn’t exactly counting on Social Security to take care of them in retirement, and instead have (or report having) begun saving for retirement themselves, at rates Transamerica claims are surprisingly high. Check out the whole story for details. 9:15 AM OPENING SESSION - Why is Social Security Important? 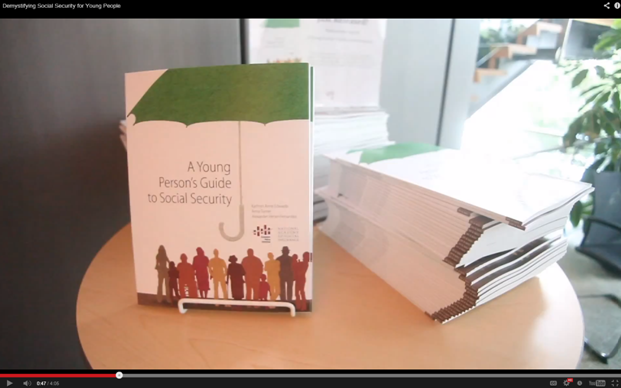 Why is Social Security relevant and important to younger generations. 9:45 AM SESSION I - Social Security: How Does it Work? Social Security is a multifaceted program with a variety of benefits. Who receives benefits? How important are Social Security benefits for the people who receive them? What is Social Security Disability Insurance? Who pays for Social Security? What are the Social Security trust funds and why do they matter? What is the program’s financial outlook in the near term and the long term? What are some policy options to strengthen Social Security? The Social Security program has been debated since its inception. This session will explore two different perspectives on the current state of the program and its future. Experts have debated solutions to Social Security’s financing for years. What solutions would you choose to solve the issues of solvency and adequacy of Social Security? Hold your own policy briefing. Report back on your plan for the future of Social Security. 3:15 PM CLOSING SESSION - Now What? : How Can I Use this Information and Experience? Now that you have learned the ins and outs of the Social Security program, what can young people do now and throughout their careers to get involved in the policy process? Are Social Security benefits puny? It depends how you measure them. The Social Security Administration states that “Most financial advisors say you’ll need about 70 percent of your pre-retirement earnings to comfortably maintain your pre-retirement standard of living. Under current law, if you have average earnings, your Social Security retirement benefits will replace only about 40 percent.” Progressives cite these seemingly puny benefits in support of expanding Social Security, despite the program’s $10 trillion-plus financial shortfall. But, as Sylvester Schieber and I show in today’s Wall Street Journal, SSA and financial advisors calculate “replacement rates” differently. If you calculated replacement rates the way financial advisors do – by comparing Social Security benefits to earnings immediately preceding retirement – the typical replacement rate for a full-career worker is around 60 percent. SSA, by contrast, compares Social Security benefits to average lifetime earnings, which is fine, but it “wage indexes” those past earnings. Wage-indexing increases your past earnings by an amount greater than the rate of inflation, in effect crediting you with earnings you never had. A retirement income is then called inadequate if it can’t replace that never-had purchasing power. The chart below, from Schieber’s recent paper with Gaobo Pang of Towers Watson, shows five different ways of calculating Social Security replacement rates. From the left is initial Social Security benefits relative to: earnings in the 5 years before retirement; peak earnings (the 5th-9th years before retirement); the inflation-indexed average of the worker’s average lifetime earnings; and finally, the wage-indexed average of career earnings, which is how the SSA calculates replacement rates. Of all the different ways of measuring replacement rates, SSA’s is by far the lowest. It also makes the least sense, since there’s nothing in the “life cycle” theory in economics or in standard financial planning in which people base their retirement saving on the growth of other people’s earnings, which is what wage-indexing does. It’s your own earnings, and smoothing your standard of living between work and retirement, that matter. Why does SSA measure replacement rates the way it does? It’s a long story. But the short story is that we shouldn’t take it for granted that Social Security benefits fall far short of what financial planners recommend as an adequate retirement income. "The Affordable Care Act in an Economy with Federal Disability Insurance"
This paper examines the effects of the Affordable Care Act (ACA) by considering a dynamic interaction between extending health insurance coverage and the demand for federal disability insurance. This paper extends the Bewley-Huggett-Aiyagari incomplete markets model by endogenizing health accumulation and disability decisions. The model suggests that the ACA will reduce the fraction of working-age people receiving disability benefits by 1 percentage point. In turn, the changes associated with disability decisions will help fund 47 percent of the ACA's cost. Last, compared to the ACA, an alternative plan without Medicaid expansion will reduce tax burdens and improve welfare. "Economic Analysis of Social Security Survivors Benefits"
This paper analyzes the impacts of social security survivors benefits, a program that has received little attention in the literature. Survivors benefits help insure against mortality differences within and across cohorts in addition to the uncertainties of income and family structures. The risk spreading provided by survivors benefits, however, is funded via taxes that distort individual decisions. To capture the trade-off, this paper designs and calibrates a dynamic model, in which mortality rates are negatively correlated with income. The model suggests that removing dependent children benefits generates ex-ante utility losses, but removing aged spousal benefits produces ex-ante utility gains. "Valuation and Risk Assessment of Disability Insurance using a Discrete Time Trivariate Markov Renewal Reward Process"
In disability insurance, the impact of the duration since the inception of disability on future recovery and mortality rates has been modeled by bivariate Markov renewal processes and the associated semi-Markov process, but these processes do not incorporate potential dependences between the durations in two successive states. Thus, the aim of this paper is to introduce a discrete time trivariate Markov renewal reward model, an associated formula for higher moments and a corresponding simulation that include the potential dependence between the durations, i.e. the inter-arrival times, in two successive states. The proposed model is compared with two alternative models that do not include this dependence. "The Cost-Savings of Expanding Medicaid Eligibility to Include Currently Uninsured Homeless Adults with Substance Use Disorders"
Following the June 2012 Supreme Court ruling that states are no longer mandated to expand their Medicaid programs in 2014 as part of the Affordable Care Act, many states plan to opt out of the expansion, citing affordability as their primary concern. In response to this controversy, the present study evaluated the cost savings of expanding Medicaid coverage to include currently ineligible homeless adults with substance use disorders, a subset of the population that incurs some of the greatest societal costs and is disproportionately impacted by uninsurance. Using a time horizon of 7 years, separate analyses were conducted for state and federal governments, and then a final analysis evaluated the combined costs for the other two models. Results of the study demonstrate that, although the expansion will be associated with a net cost when combining state and federal expenses and savings, states will experience tremendous savings if they choose to participate. It is now conventional wisdom that Americans face a retirement "crisis," in part because Social Security benefits are seen as inadequate. For instance, the Social Security Administration's website explains that "most financial advisers say you'll need about 70% of your pre-retirement earnings to comfortably maintain your pre-retirement standard of living." It then notes that "under current law, if you have average earnings, your Social Security retirement benefits will replace only about 40%." That line of thinking is misleading, often cited by progressives fighting benefit reforms that would address Social Security's $10 trillion shortfall. Here's why: Financial advisers do not calculate replacement rates the same way the Social Security Administration does. When the calculations are consistent, the replacement rate paid by Social Security comes closer to 60%, which substantially changes the retirement-income picture. Financial advisers measure replacement rates relative to final earnings, generally meaning they divide the first year of retirement income by a worker's final year of working income, or average pay during the past five working years. The SSA, on the other hand, measures replacement rates relative to the wage-indexed average of lifetime earnings. "Wage indexing" increases past earnings to reflect the growth of average wages. These are very different numbers that produce very different outcomes. Check out the whole article here. Related: my 2008 article on measuring replacement rates co-authored with Glenn Springstead of SSA. Upcoming event: "Boosting Economic Mobility through Prize-Linked Savings"
Join us for lunch at ICI on Tuesday, July 22 for a discussion with Stuart Butler and David C. John on their paper "Boosting Economic Mobility through Prize-Linked Savings"
The savings rate in America has been in decline for three decades, with roughly one-third of households having no savings at all. Analyses of economic mobility explore why some people are successful in moving up the economic ladder during their lifetime while others are not. While there is much debate about the degree of opportunity in America, there is general agreement that there seem to be significant obstacles facing Americans who start out in households at the bottom end of the income spectrum. But even for those starting at the bottom, lifetime trajectories vary widely. The habit of saving is a critically important complement to education and social “capital” needed for upward mobility. But we need to recognize that there are many Americans who are not inclined to take part in traditional programs designed to build a savings habit. For these Americans, financial incentives and tools with approaches that have a more emotional appeal are a more effective way of creating a culture of savings by channeling the instinct to gamble into systematic savings. This approach, known as “prize-linked savings” employs the techniques of behavioral economics to turn a behavior pattern into a savings habit that enhances the economic mobility of a household. I have a long article co-authored with Syl Schieber in the summer issue of National Affairs which looks at the variety of factoids and studies suggesting that Americans are facing a “retirement crisis.” While many Americans no doubt are undersaving for retirement, nearly every study claiming a crisis makes a number of at least debatable methodological choices. We examine many of these choices and give, I believe, a more rounded view of the issue. This piece should be of interest to anyone interested in retirement security, including Social Security reform. You can read it online here. President Obama has nominated Carolyn Colvin, the long-serving acting Commissioner of the Social Security Administration, to become Commissioner in her own rite. I’d be pretty surprised if she weren’t confirmed. But, as National Review reports, some Republicans in Congress haven't been happy with her performance to date, in terms of reducing program costs or getting on top of administrative law judges who are seemingly over-enthusiastic in approving disability benefits applications. Will it derail her nomination? Probably not. But it will raise the visibility of problems at the agency and in the Social Security program as a whole. Register now to join the National Academy of Social Insurance for a free day-long seminar on Social Security and how it impacts young people. Don’t miss this opportunity to connect with other interns, students and young professionals and to interact with Social Security policy experts from leading non-profits, government organizations, advocacy groups, and think tanks. Light breakfast and lunch will be provided. This is the first of two NASI 2014 Summer Academies. Demystifying Medicarewill be held on July 24th, also at the Kaiser Family Foundation’s Barbara Jordan Conference Center. Join the conversation on Twitter by following NASI (@socialinsurance) and using the event hashtag: #socsec14. Why is Social Security Important? And Why is it Important to Young People? View the full agenda and speakers.